Dayo is a quantity surveyor and tech entrepreneur with 7 years experience in project and construction management, product and business development, online marketing, and investment analysis. He has worked on projects both in the public and private sectors involving the use of public-private partnership as a model for development in construction works. Being a tech and entrepreneurship enthusiast, he founded an online restaurant discovery and food ordering service and an entrepreneurial community called “The Hustle Grind” designed to help, educate, inspire and connect entrepreneurs. He presently works with Microtraction – an early stage investment firm – as an Investment Analyst. 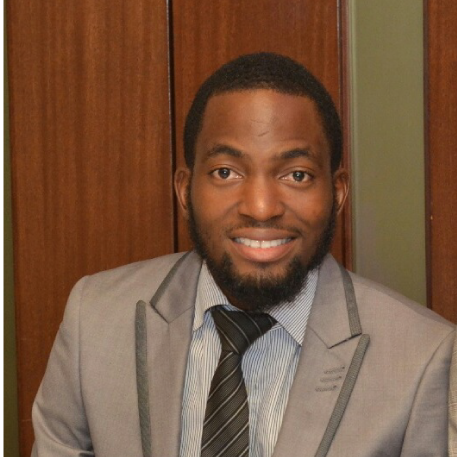 He holds a Bachelors of Technology in Quantity Surveying from the Federal University of Tech, Akure, Nigeria. He is a member of the International Project Management Professionals (NIGERIA) and Tony Elumelu Entrepreneurship Programme Alumni (2015). He is passionate about shaping the tech entrepreneurship world and helping more businesses grow and become more successful most especially in Africa.